Silica obtained from marine-derived Red Algae Powder (Lithothamnium coralloides) is a source of the natural trace element silicon. Silicon is found in many unrefined grains and in some seafood sources, including mussels. 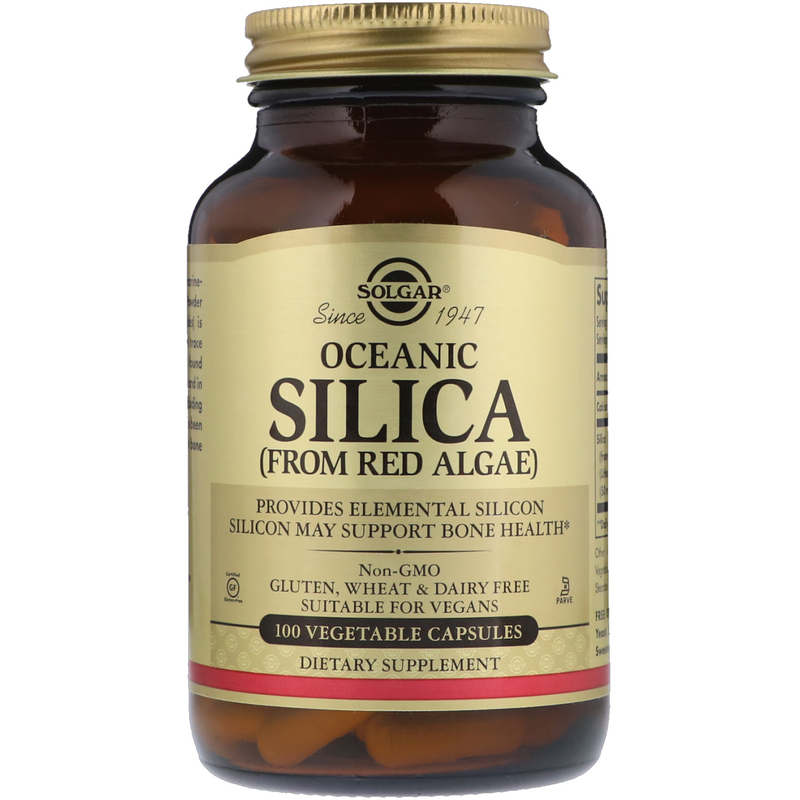 Silicon intake has been positively associated with bone health. 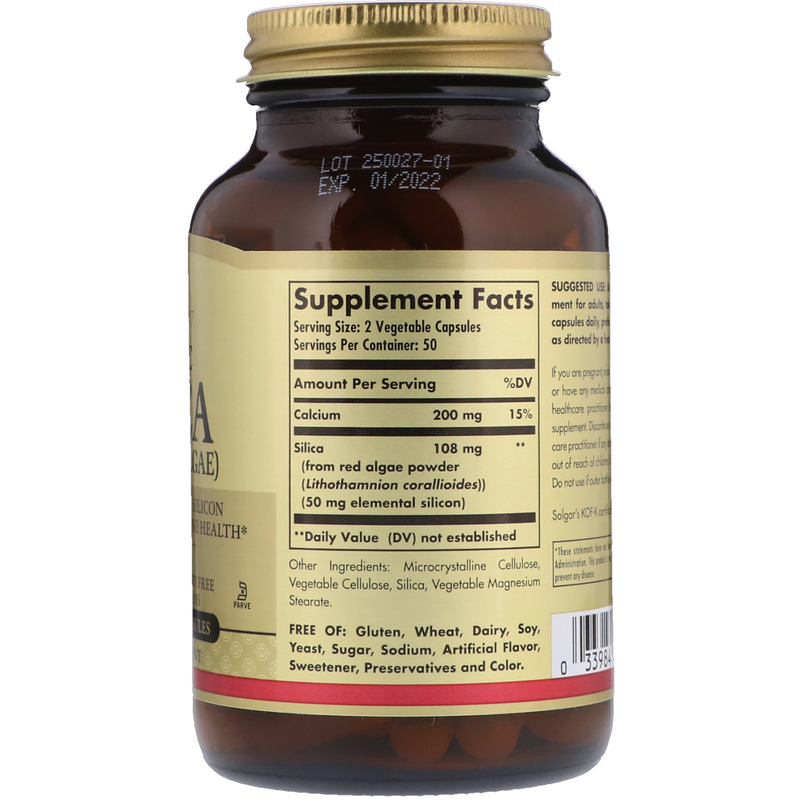 As a dietary supplement for adults, take two (2) vegetable capsules daily, preferably at mealtimes, or as directed by a healthcare practitioner. Microcrystalline cellulose, vegetable cellulose, silica, vegetable magnesium stearate. If you are pregnant, nursing, taking any medication or have a medical condition, please consult your healthcare practitioner before taking any dietary supplement. Keep out of reach of children. Store in a cool, dry place. Do not use if outer bottle seal is missing, torn or damaged.